Villa San Marco, Stabiae, July 2010. South portico 1 in garden peristyle area 66. Photo courtesy of Michael Binns. 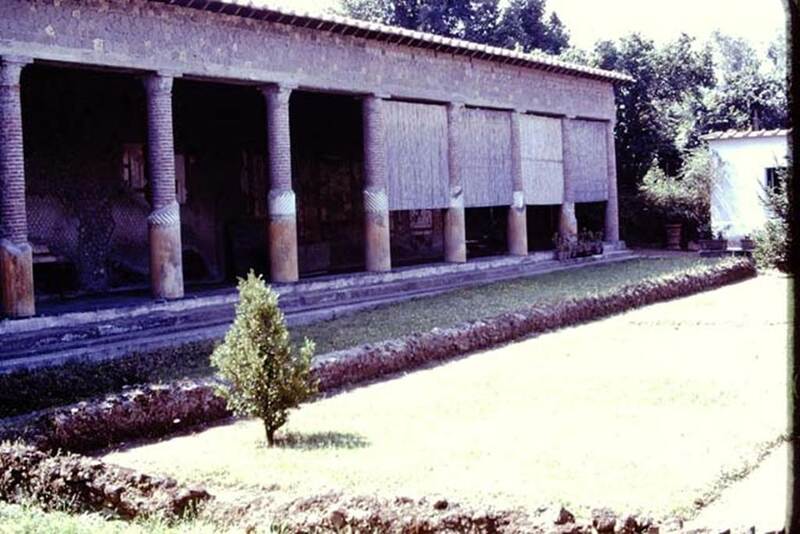 Villa San Marco, Stabiae, c. 1976. Looking west along the south side of portico 1. Photo by Stanley A. Jashemski. Villa San Marco, Stabiae, 1961. Looking from the east portico, towards the south portico. Photo by Stanley A. Jashemski. 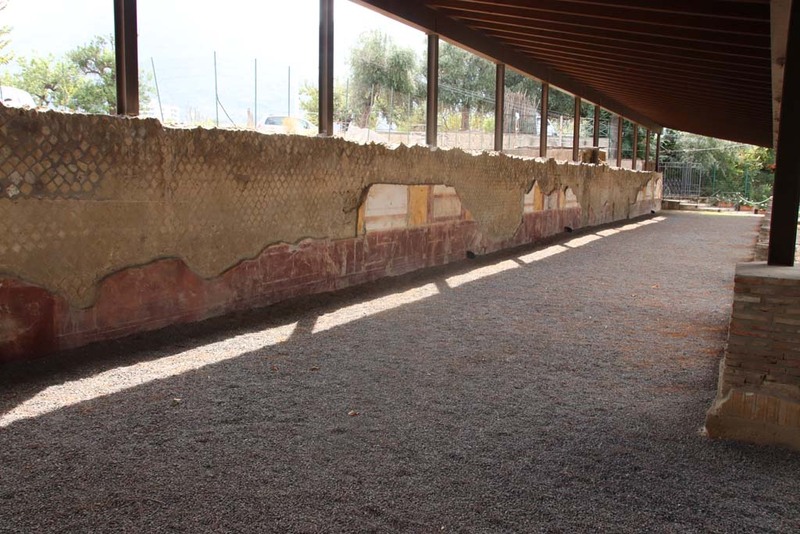 Villa San Marco, Stabiae, September 2015. Portico 1, looking west from south-east corner. Villa San Marco, Stabiae, September 2015. Portico 1, looking west along the south wall. 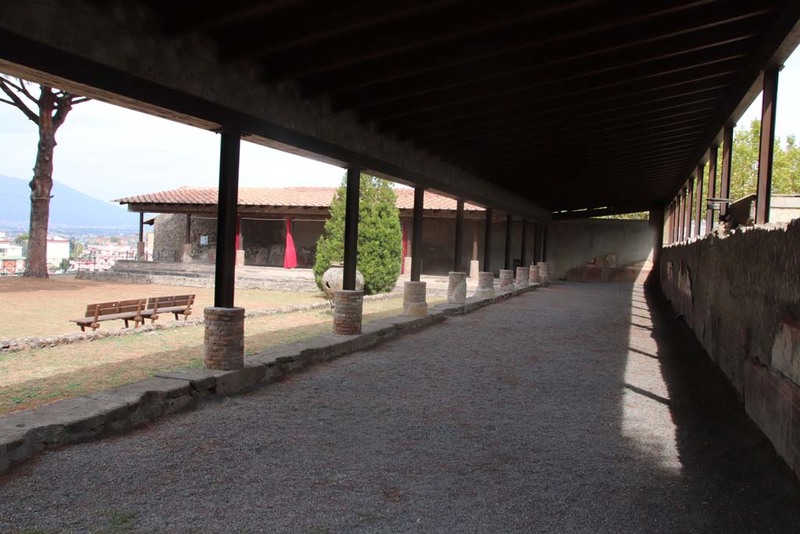 Villa San Marco, Stabiae, September 2015. Portico 1, south wall. 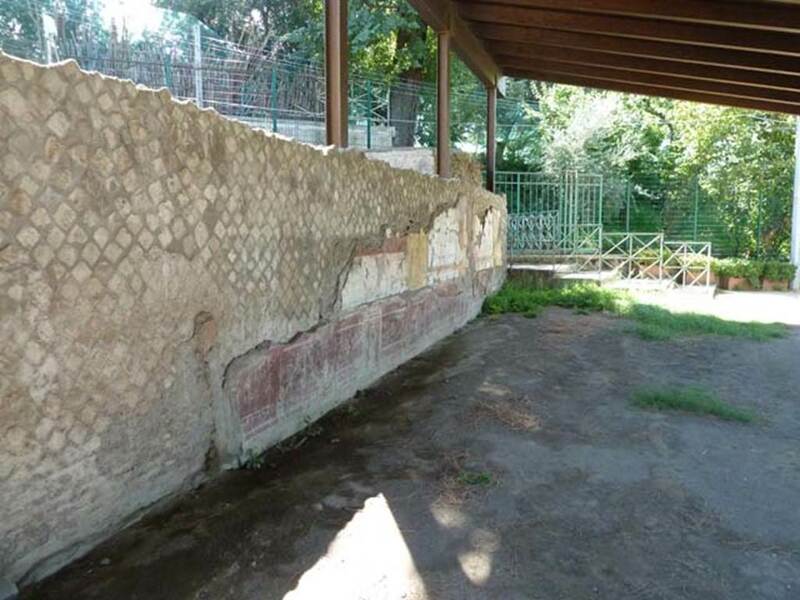 Villa San Marco, Stabiae, September 2015. 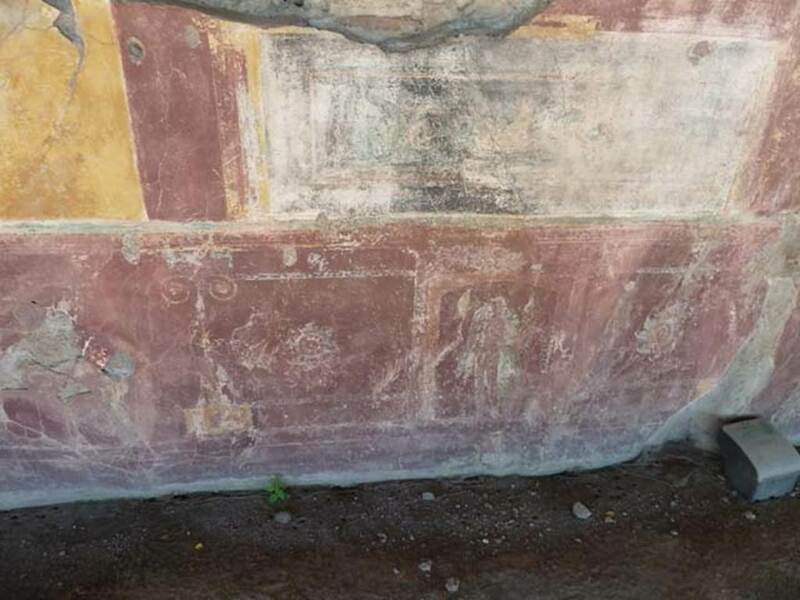 Portico 1, painted panel on south wall. 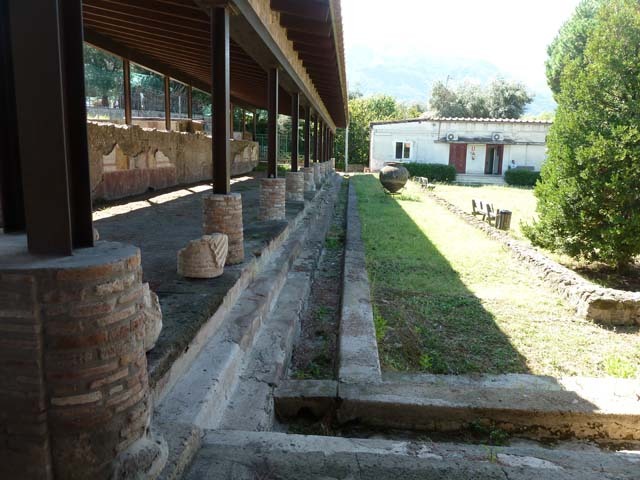 Villa San Marco, Stabiae, September 2015. Portico 1, looking west along south wall. 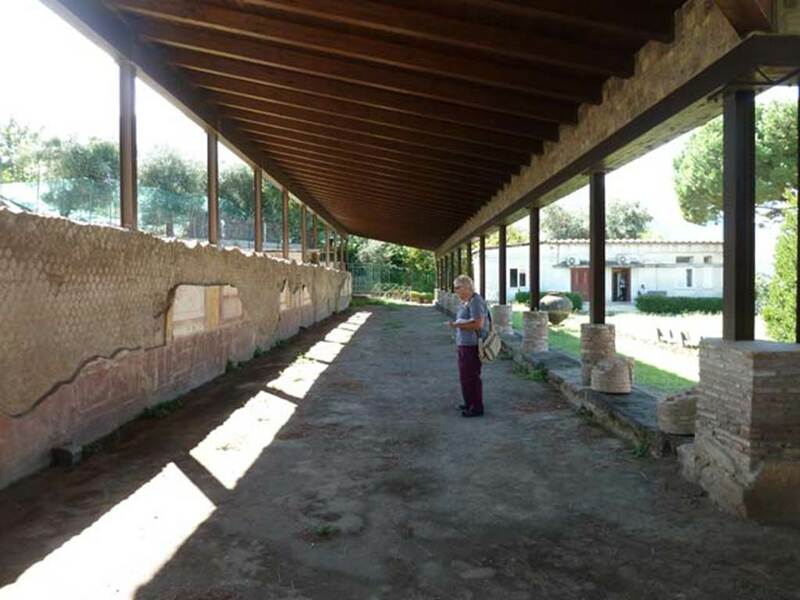 Villa San Marco, Stabiae, September 2015. Portico 1, west end of south wall. 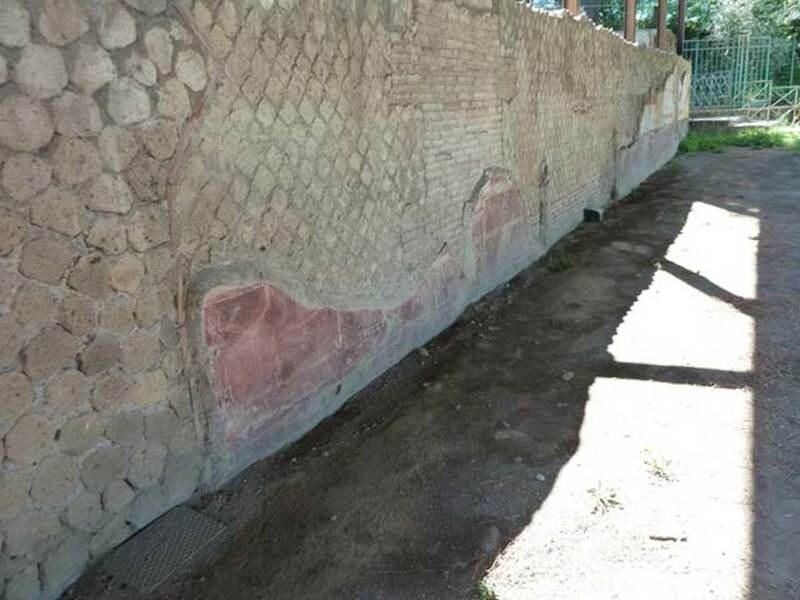 Villa San Marco, Stabiae, September 2015. 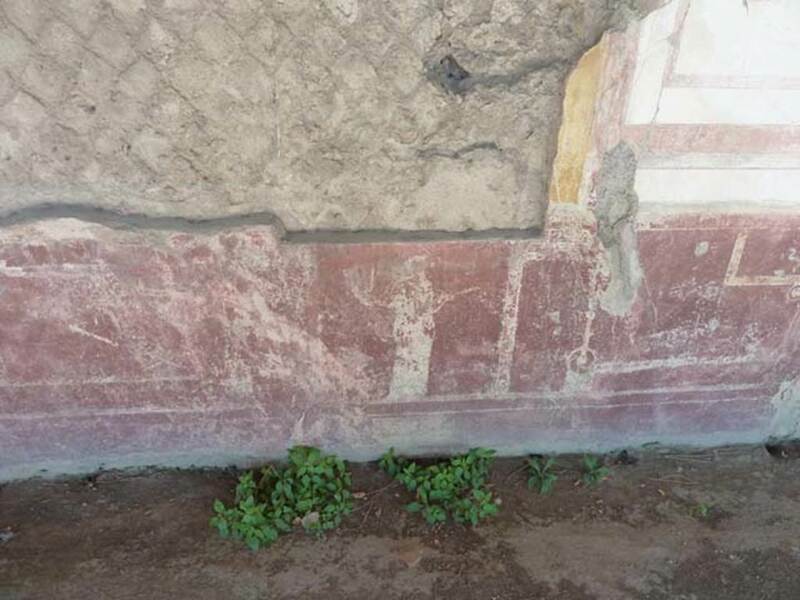 Portico 1, painted bird on zoccolo of south wall. Villa San Marco, Stabiae, 1961. Area 66, garden peristyle area. Portico 1, central part of the ceiling with armillary sphere. Photo by Stanley A. Jashemski. 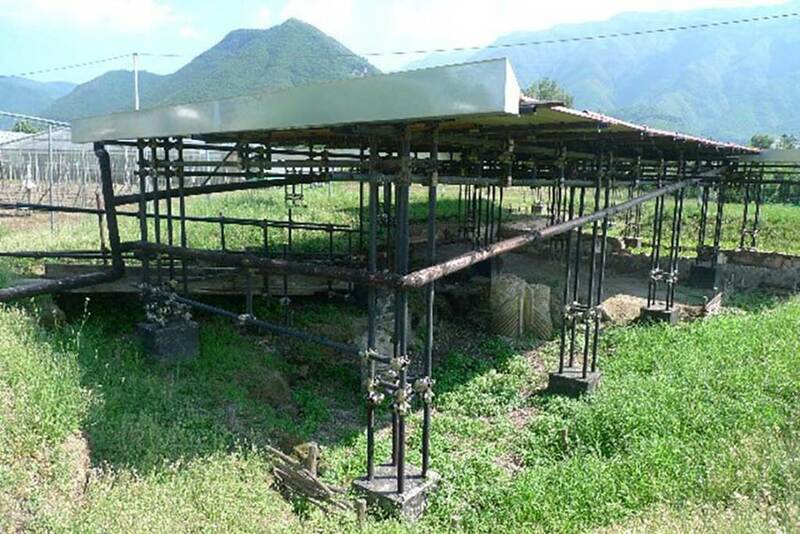 Stabia Antiquarium, inventory number 62525. Villa San Marco, Stabiae, 1968. Area 66, garden peristyle area. Portico 1, still-life from ceiling. Photo by Stanley A. Jashemski. Villa San Marco, Stabiae, 2004. Area 66, garden peristyle area. Portico 1, central part of the ceiling with armillary sphere. Note the still life is now attached to the left side. Stabia Antiquarium inventory number 62525. 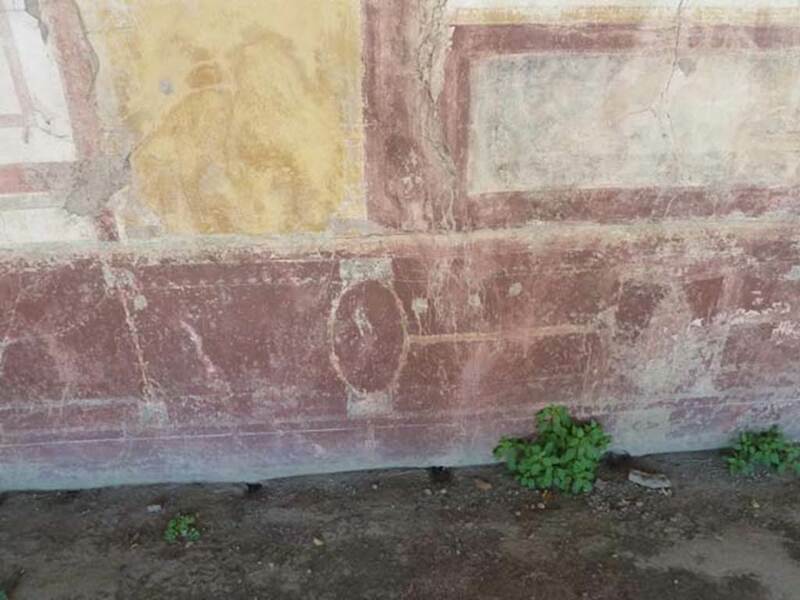 Villa San Marco, Stabiae, September 2015. 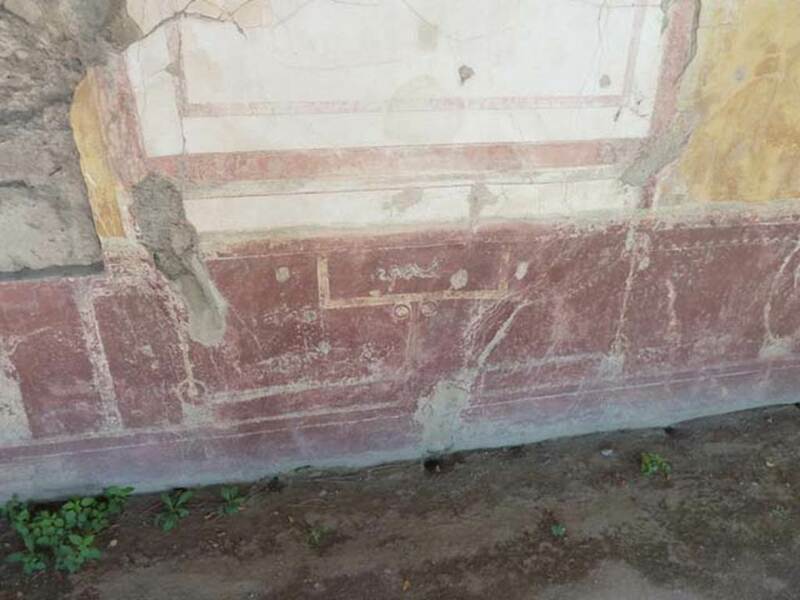 Portico 1, detail of original figure on planisphere, from Soprintendenza description board in villa. 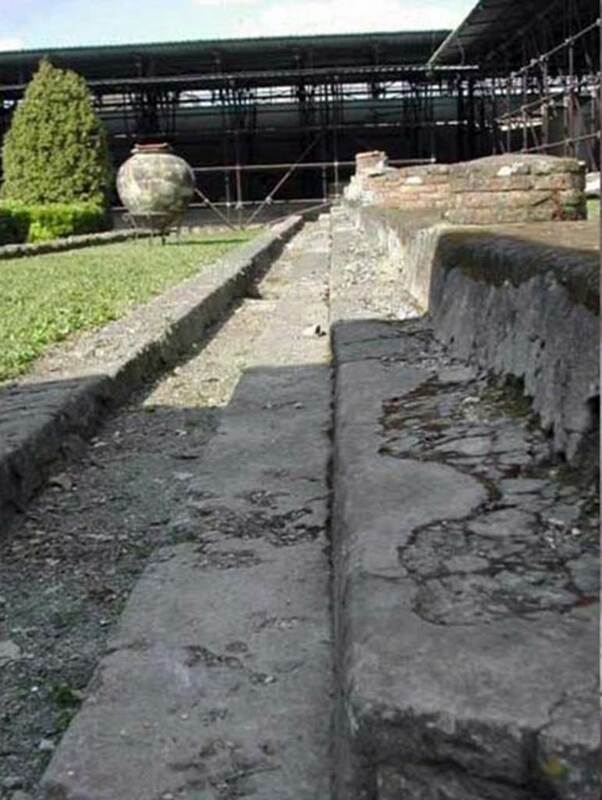 Villa San Marco, Stabiae. 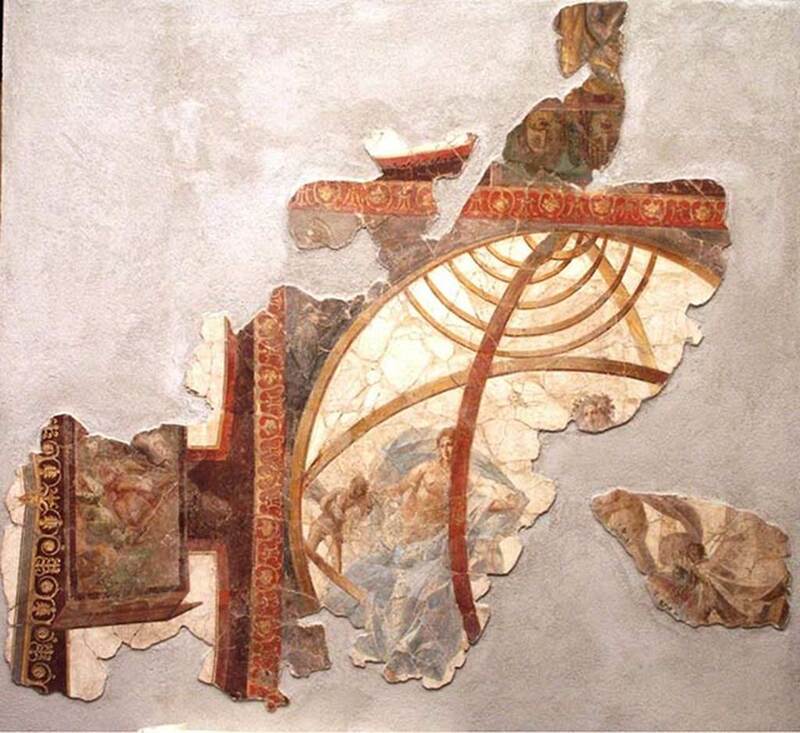 Portico 1, remains of fresco of Juno and Hebe from ceiling. 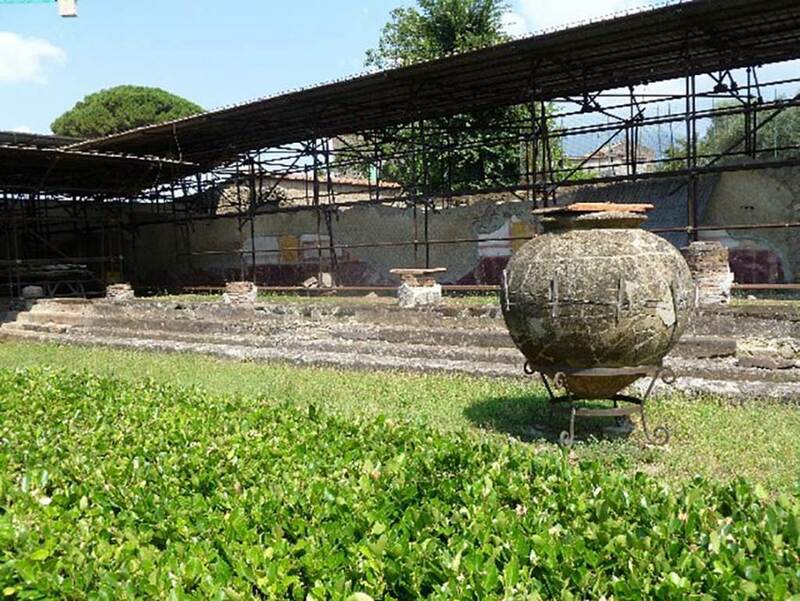 Stabia Antiquarium, inventory number 62535. 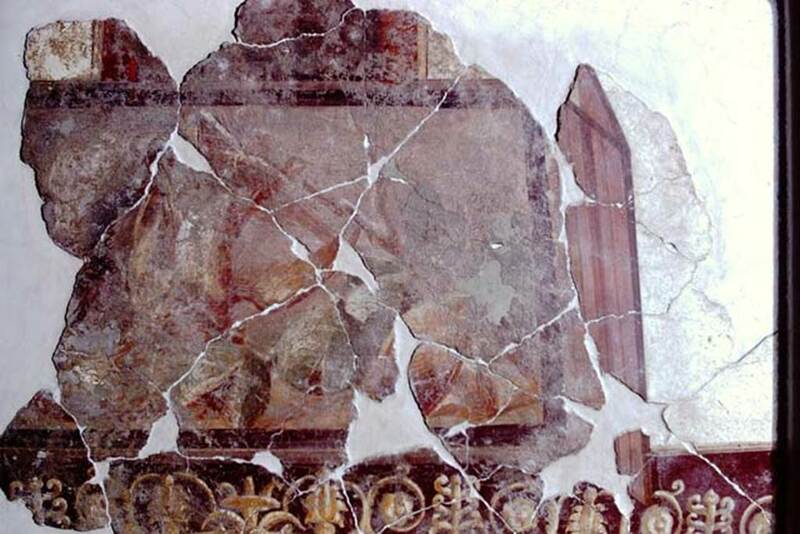 Villa San Marco, Stabiae, 2004. Portico 1, detail of central panel of last section or the ceiling. 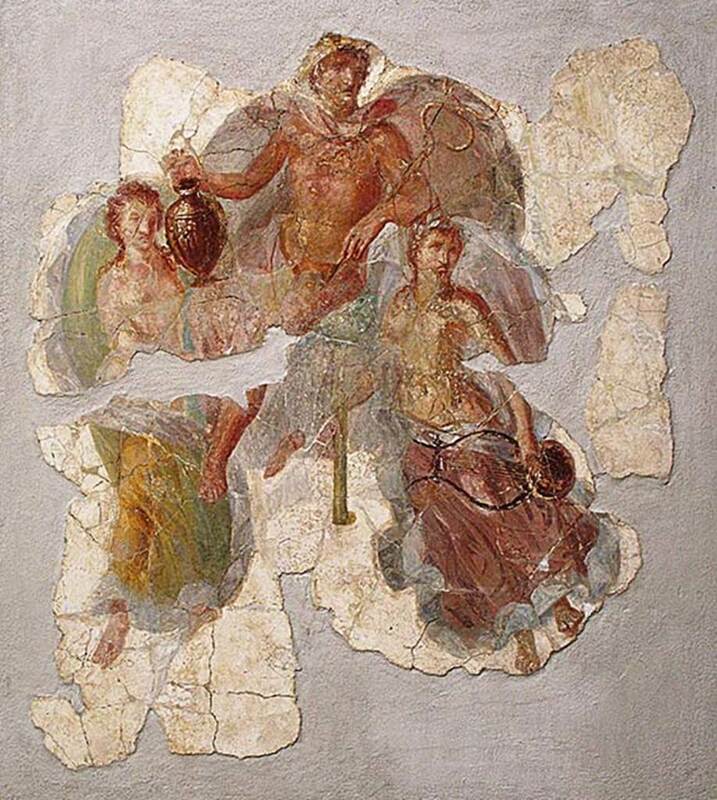 Painting of the triumph of Hermes or Mercury. Stabia Antiquarium, inventory number 62526. 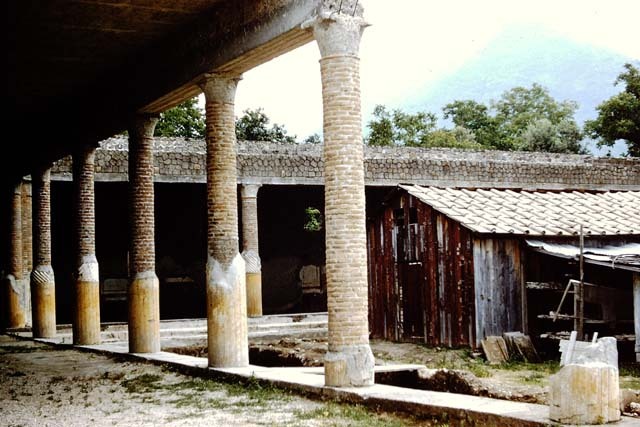 Villa San Marco, Stabiae, 1968. Area 66, garden peristyle area. Portico 1, triumph of Mercury, detail from the ceiling. Photo by Stanley A. Jashemski. 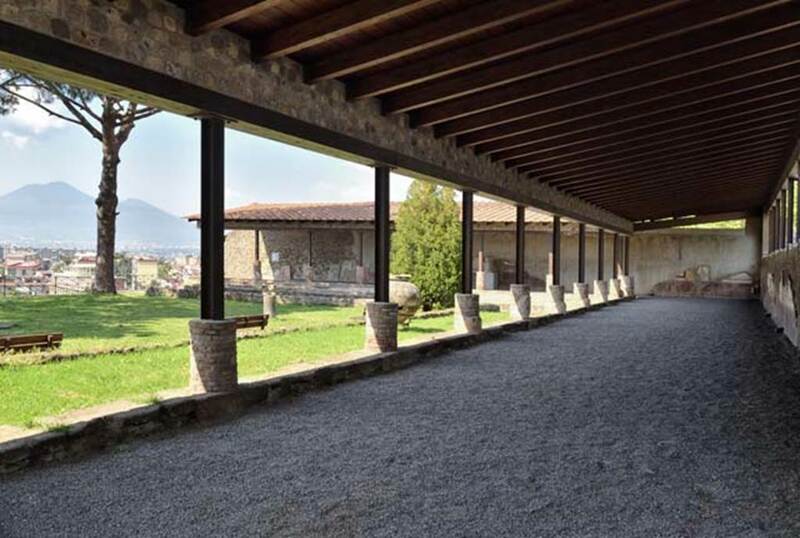 Villa San Marco, Stabiae. 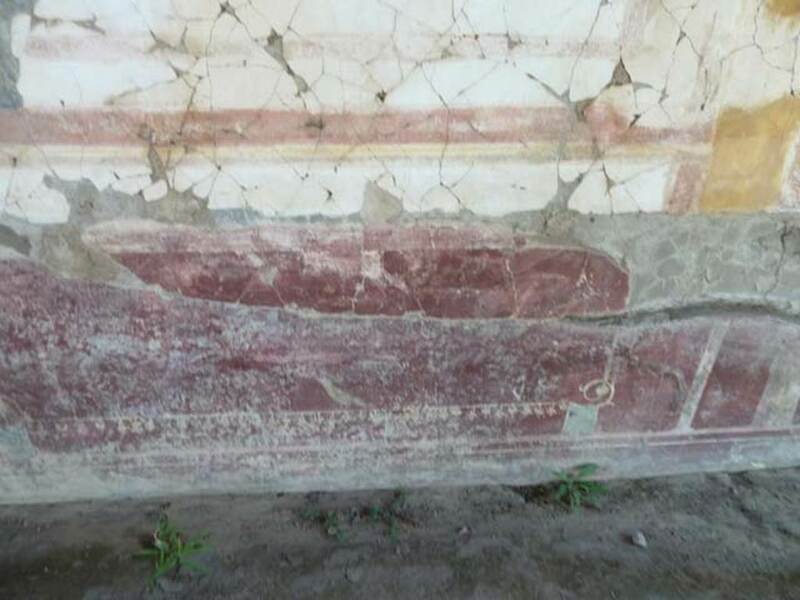 Portico 1, remains of fresco of Minerva from ceiling. 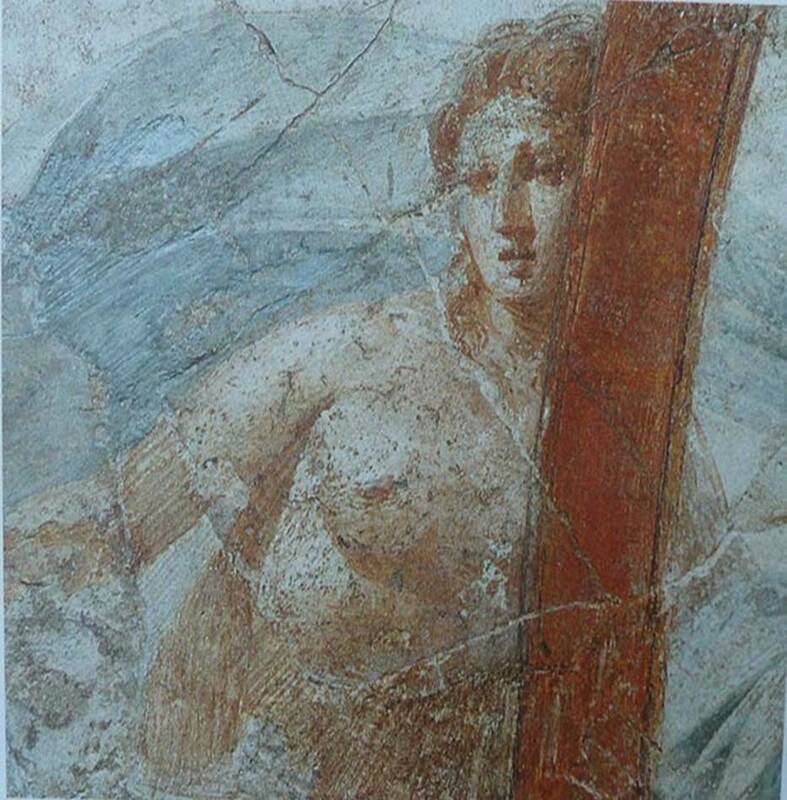 Stabia Antiquarium, inventory number 62524. 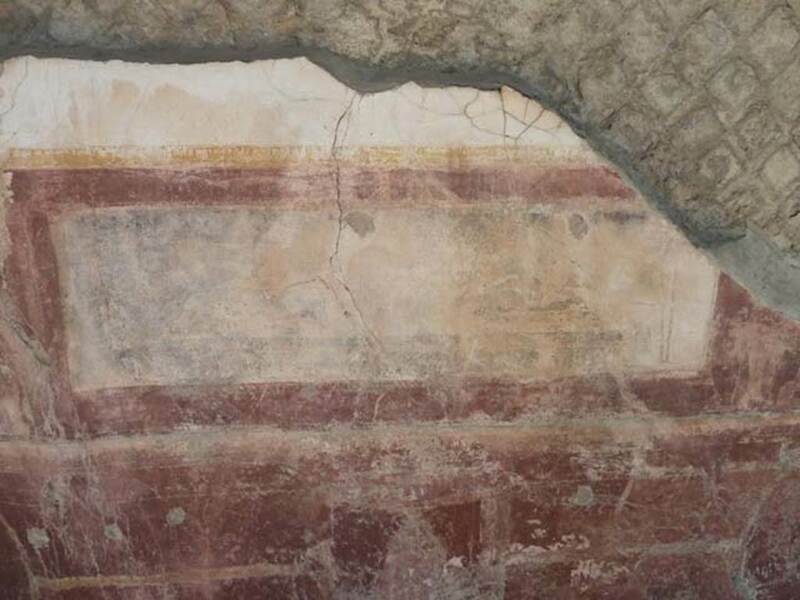 Villa San Marco, Stabiae, September 2015. 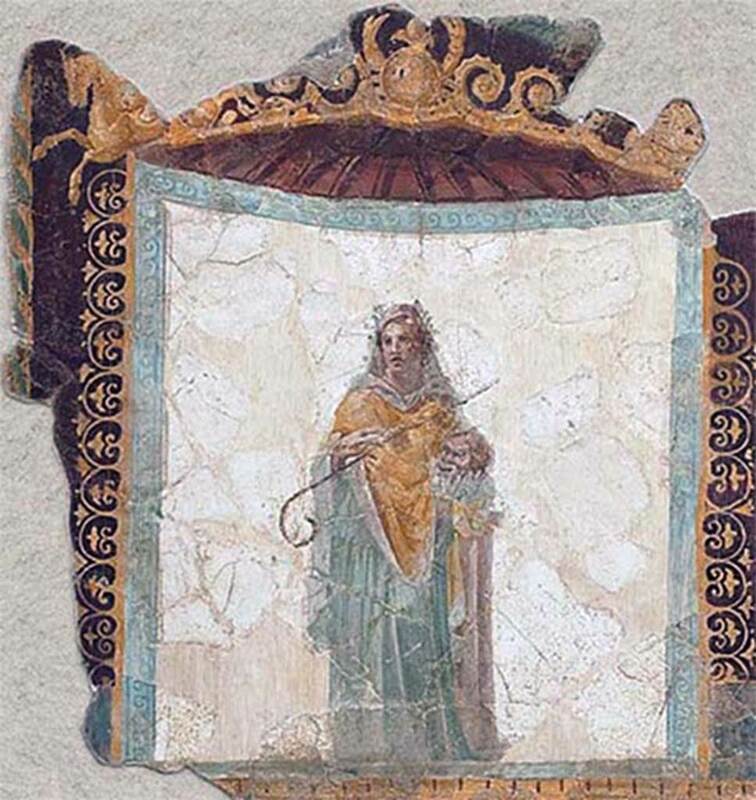 Portico 1, Melpomene, part of the original ceiling decoration. Stabia Antiquarium, inventory number 62523. Villa San Marco, Stabiae, December 2007. Area 66, garden peristyle area. Looking east along south side of portico 1. Villa San Marco, Stabiae, July 2010. Excavations at the south corner of the west end of the [portico 1 of the?] large peristyle 66. Photo courtesy of Michael Binns. 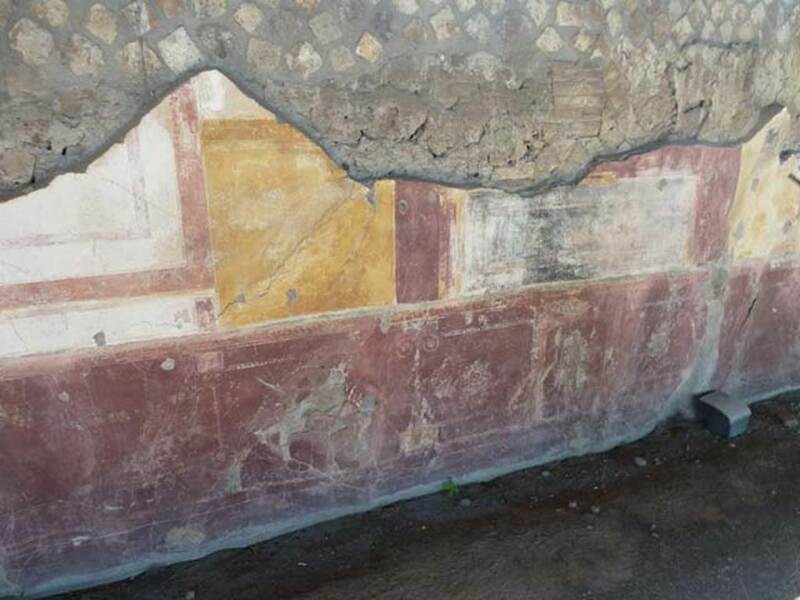 According to Bonifacio, this excavation was made to verify and document the dimensions of the large peristyle. 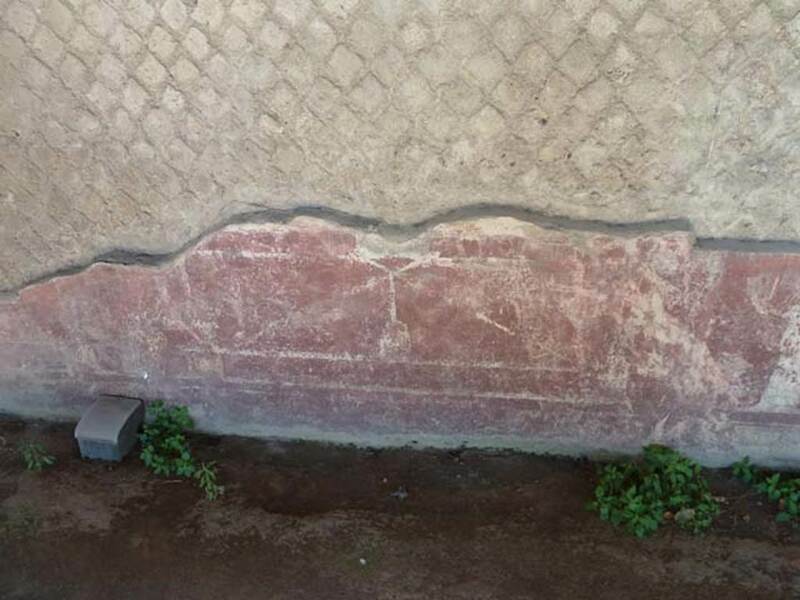 During the excavations some terracotta grondaia datable to the Augustan age were found. 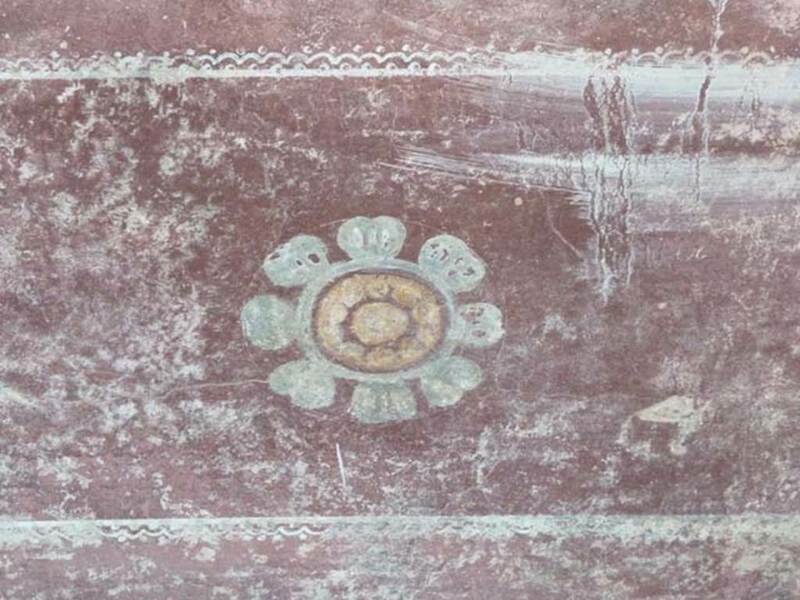 Near to the corner spiral decorated column, which can be seen centre right above, a human skeleton was found with the right leg severed by a fallen wall. He was identified as a male, about 60 years of age. Also found were fragments of bronze, fragmented iron keys and a fragment of a pottery vase (terra sigillata). 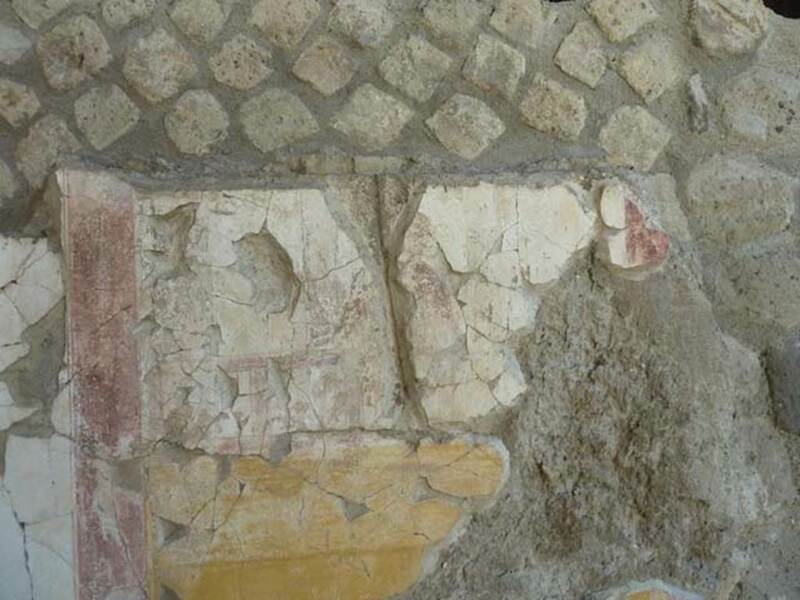 In the south-west corner of the peristyle three rooms were found, probably cubicula. See Bonifacio G. in Nuove ricerche archeologiche nell’area vesuviana (Scavi 2003-2006). SAP 25. p. 565-9, figs 3, 10, 11, 12 and 13. Villa San Marco, Stabiae, July 2010. West end of portico 1? Excavations near villa. Photo courtesy of Michael Binns. 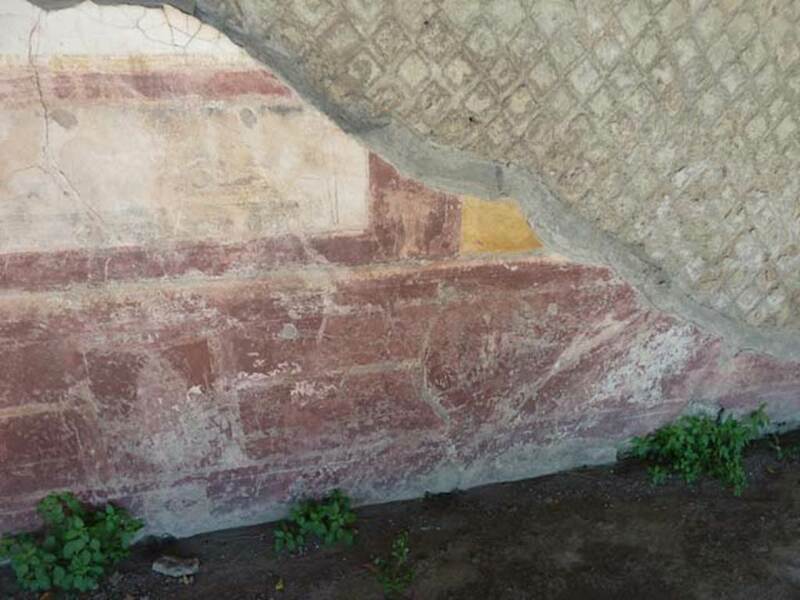 According to Bonifacio, in the south-west corner of the peristyle three rooms were found, probably cubicula, on the inside of which were elements of decorative trellis work. 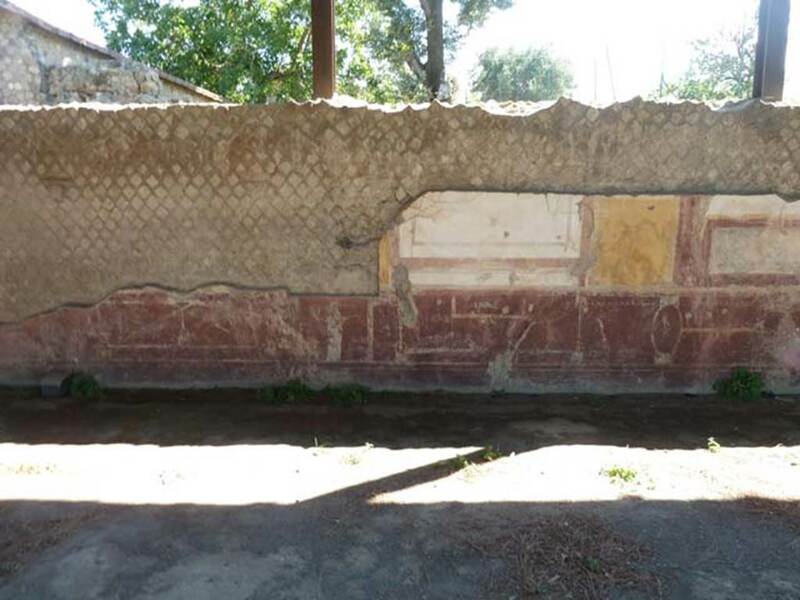 The upper walls were decorated with coloured fourth style stucco. See Bonifacio G. in Nuove ricerche archeologiche nell’area vesuviana (Scavi 2003-2006). SAP 25. p. 565-9, figs 3, 10, 11, 12 13. Villa San Marco, Stabiae, July 2010. White marble altar. Photo courtesy of Michael Binns. The altar, from the first imperial age, is decorated with garlands and ribbons supported on the skulls of stags. This came to light in 1585 following an excavation in the garden next door to the church of S. Maria di Pozzano. According to Pagano, given its sizeable dimensions, it was perhaps part of a sumptuous little temple destroyed in the 79AD eruption. 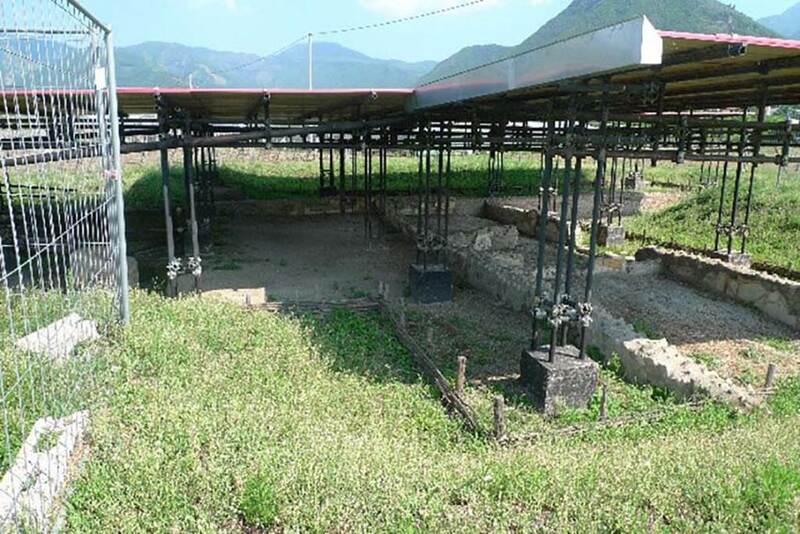 This temple would have been near a large senatorial seaside villa, situated in the valley of Faiano which lies below it. 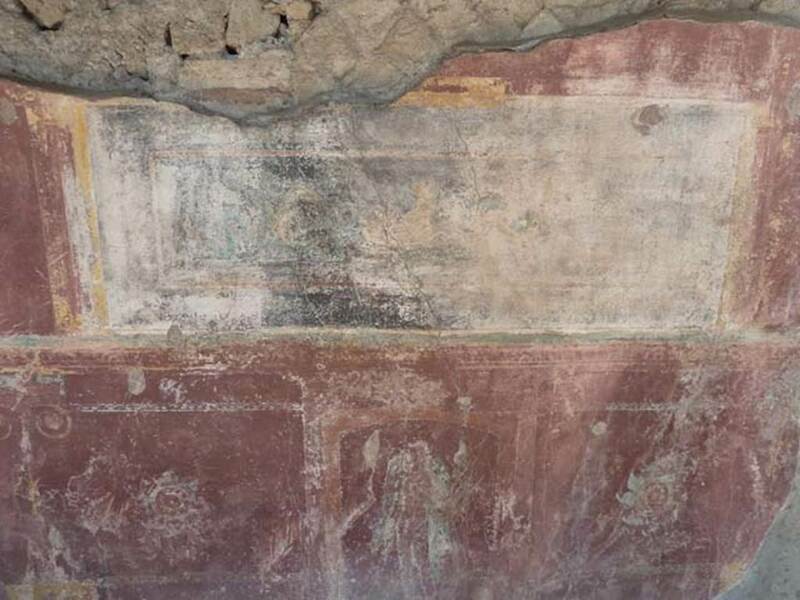 A lead fistula was discovered that may attribute this villa to Publius Sabidius Pollio. 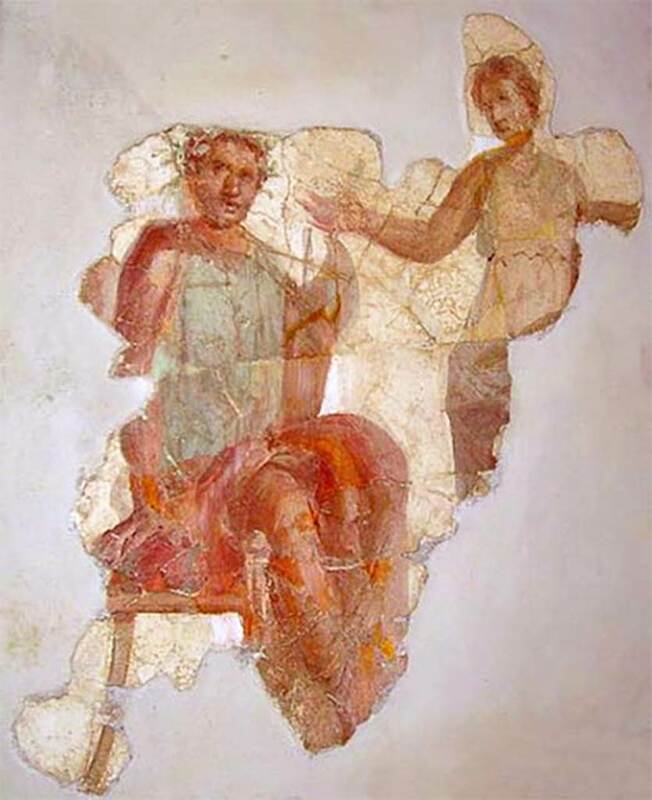 He or his father of the same name was aedile at Nola circa 30 B.C. It is therefore reasonable to suppose that the temple was part of, or near to, the villa. Pagano considered the altar may be connected with the cult of Diana, as hunting in the woods behind Mount Faito must have played an important part in the life of a rich aristocrat. 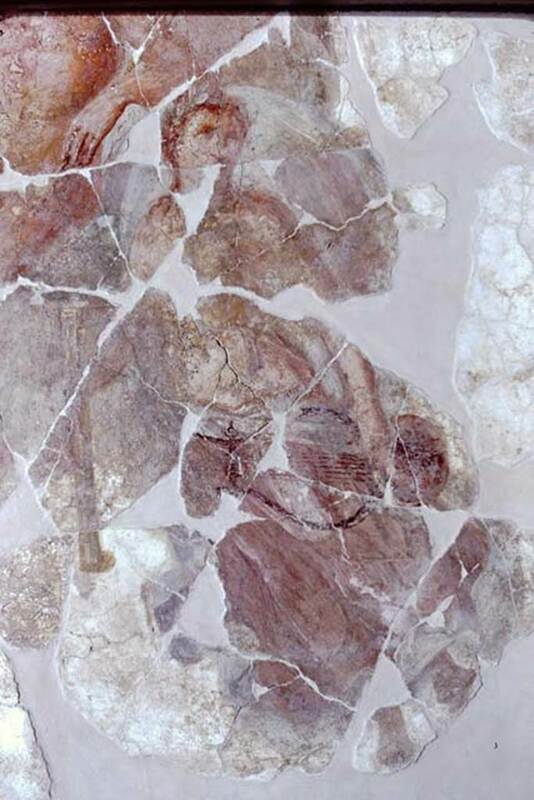 See Pagano M., 2003 in Rivista di Studi Pompeiani XIV. Roma: L’Erma di Bretschneider. p. 349-351, figs. 6-8. Villa San Marco, Stabiae, Late 19th century Giorgio Sommer photograph of white marble altar. 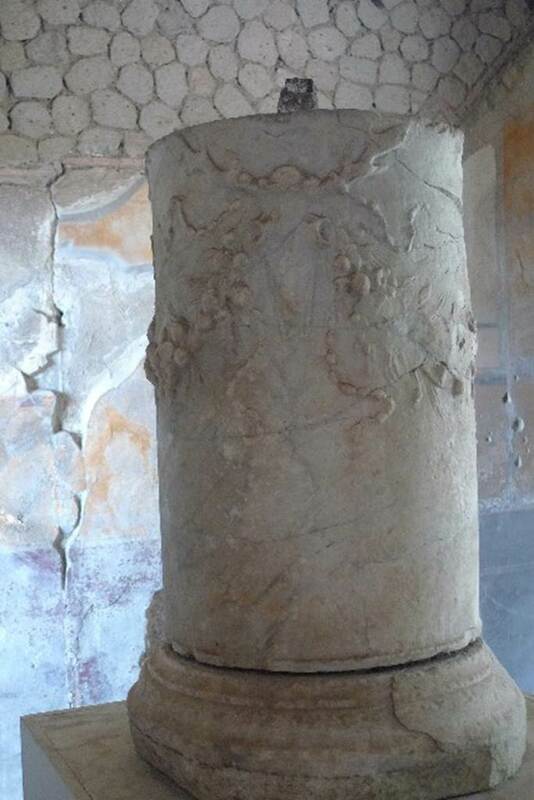 During the 18th and 19th centuries the altar was used to support a Corinthian column at the top of which was a cross. 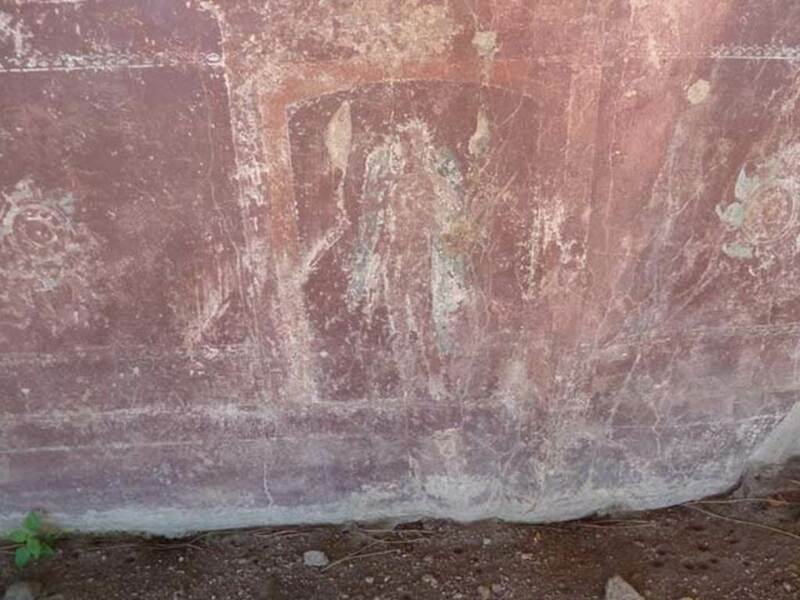 This was located in a panoramic position on the old Sorrento road. It suffered considerable exposure to sea air, oxidisation and vandalism before being replaced by a resin copy and the original removed and restored. 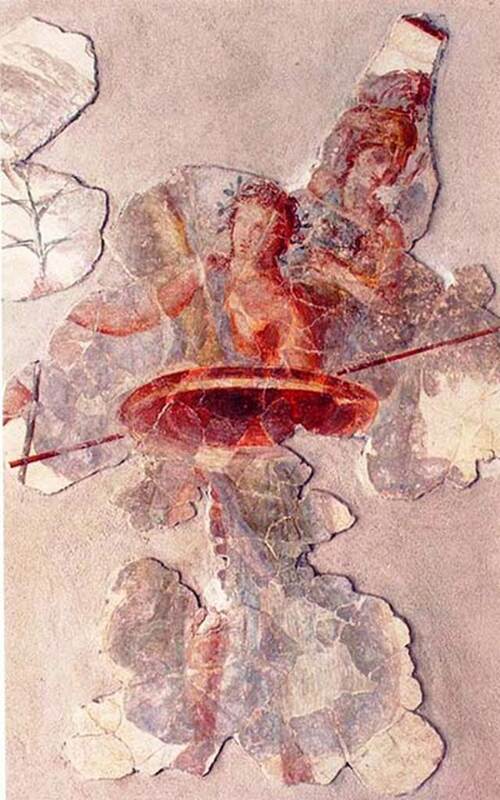 This can be seen on the cover of “Pompei tra Sorrento e Sarno” in a position overlooking Castellammare di Stabia. 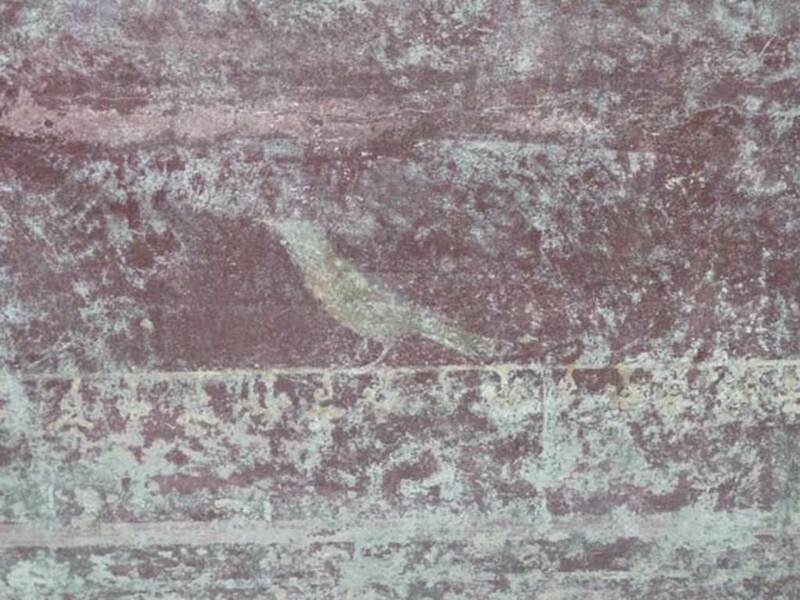 There is also a photo c.2001, on the inner front leaf, showing it still in situ and covered in graffiti, taken by M. Russo. 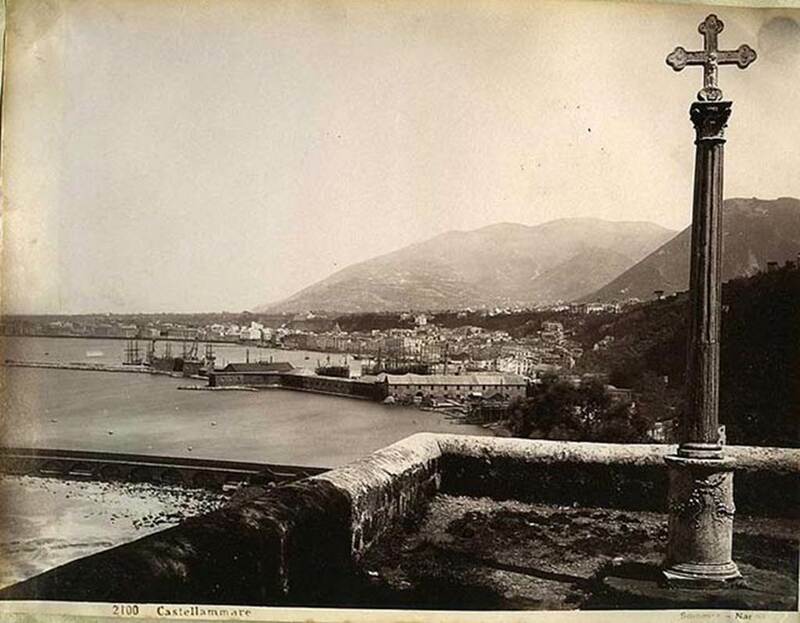 See Comitato per gli Scavi di Stabia. “Pompei tra Sorrento e Sarno”, Rome: Bardi Editore, 2001. Restored marble altar, decorated with garlands and ribbons, supported by stags heads. Villa San Marco, Stabiae, July 2010. Decorated marble altar. Photo courtesy of Michael Binns. Villa San Marco, Stabiae, April 2005. Description card by Mario Pagano, about the decorated marble altar. 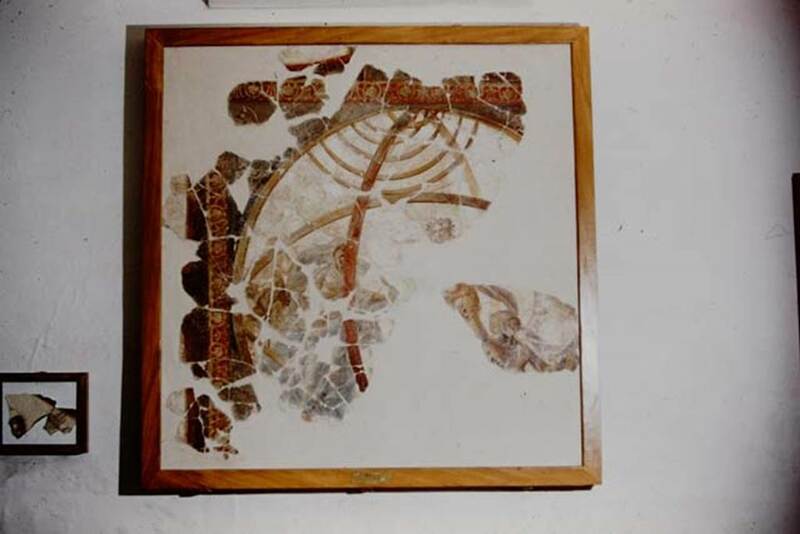 It was found in 1585 during excavation works in the garden next to the church of S. Maria di Pozzano. 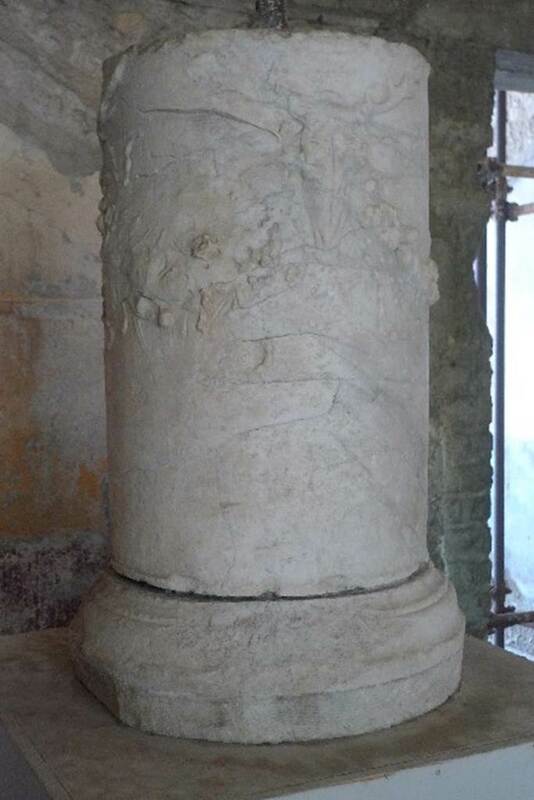 It may have been part of a small temple, probably to Diana, which was destroyed by the eruption of 79AD.